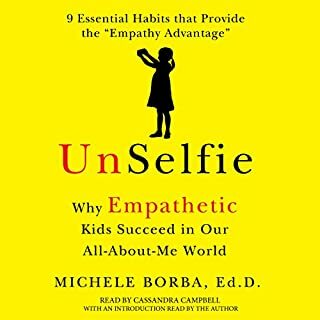 Best-selling author Michele Borba offers a nine-step program to help parents cultivate empathy in children, from birth to young adulthood - and explains why developing a healthy sense of empathy is a key predictor of which kids will thrive and succeed in the future. Parents, educators, and the media wring their hands about the plight of America's children and teens - soaring rates of emotional problems, limited coping skills, disengagement from learning - and yet there are ways to reverse these disheartening trends. Teach Your Children Well acknowledges that every parent wants successful children. However, until we are clearer about our core values and the parenting choices that are most likely to lead to authentic, and not superficial, success, we will continue to raise exhausted, externally driven, impaired children. Modern parenting is defined by an unprecedented level of overprotectiveness: parents who rush to school at the whim of a phone call to deliver forgotten assignments, who challenge teachers on report-card disappointments, mastermind children's friendships, and interfere on the playing field. 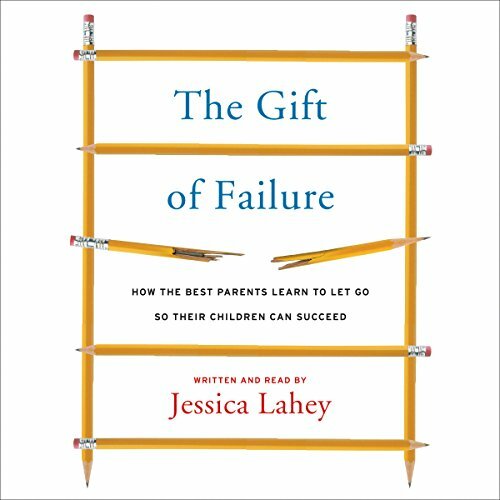 As teacher and writer Jessica Lahey explains, even though these parents see themselves as being highly responsive to their children's well-being, they aren't giving them the chance to experience failure - or the opportunity to learn to solve their own problems. Overparenting has the potential to ruin a child's confidence and undermine their education, Lahey reminds us. Teachers don't just teach reading, writing, and arithmetic. They teach responsibility, organization, manners, restraint, and foresight - important life skills children carry with them long after they leave the classroom. Providing a path toward solutions, Lahey lays out a blueprint with targeted advice for handling homework, report cards, social dynamics, and sports. Most importantly, she sets forth a plan to help parents learn to step back and embrace their children's failures. 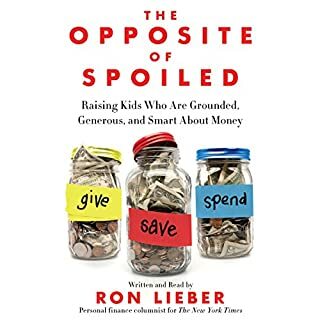 Hard-hitting yet warm and wise, The Gift of Failure is essential for parents, educators, and psychologists nationwide who want to help children succeed. Really enjoyed listening to this book. Thought there were useful examples of how to implement the strategies discussed. Nice balance of studies and real life examples. Thanks for giving us a place to turn when it all gets to be a little too much. a must read for any parent. great advice and examples of what to do and when to do it. 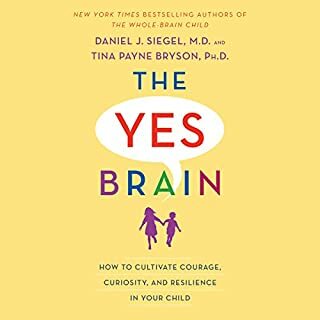 As a parent of three children and as a second grade teacher, I found this book was speaking to me. Every word echoed my own experiences as a parent. We have begun implementing many of these ideas at home and I have seen my 13 year old take some risks she would have avoided prior. I have also out some practices into practice in my classroom and I am seeing happier kids with more persistence and resilience. This is a book I recommend to all the parents in my classroom. If I could make it required reading, I would! Thank you Jessica! I learned so much more than I expected! Thank you for this book. It has turned my down-in-the-dumps 5 year old into an autonomy directed, self sufficient, hard working, thoughtful boy. It has also freed me from so much unnecessary worry and allowed me to give the successes and failures of my children back to THEM, their rightful owner! as a parent this book is a breath of fresh air. I have a 9 month old but am already dreading the intricacies of school and how to best handle it. 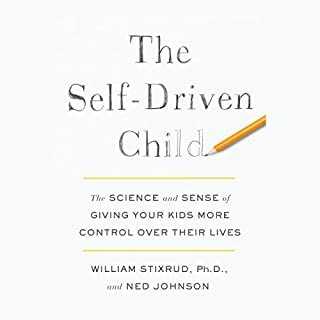 this book provided an amazing view from a teacher's perspective and how the over parenting for which I'm prone could be detrimental at best to my child's development and general feeling of self worth. thank you Ms. Lahey. Offers real solutions to help overstressed kids. I loved listening to this book. The author narrates the book and she's engaging. The topic is very timely as my 5th grade son is enrolled in a competitive and academically focused school. I've been giving him more responsibilities and have eased off of directing his school work. He's responded by stepping up! He's happier, more confident, and knows stumbles will happen, but that he will recover. So many parents at my school need this book. They ground their fourth graders for B's and harass the teachers. I'll be recommending this book to everyone I know. I learned SO MUCH from this book. I wasn't even close to finishing it, when I shared it with my Facebook friends. If we just stop rescuing our kids from failing, we might just have amazing leaders for the future. There is a bowl in my sink right now that my 8 yr old needs to wash and put back into his spot (bc each kid has 1 plate, 1 bowl, 1cup, spoon, fork, knife & place mat). I am fighting the urge to 'remind' him to take care of it. I hope it is a natural lesson for himself when we all have ice cream, and he sees what needs to happen. It's their journey, not ours. So good! This book should be handed out to every kindergarten parent and teacher. A great read! Every parent needs to read this!! I loved everything about this book. 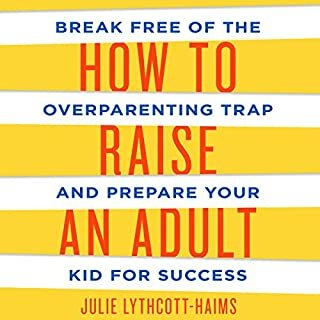 As a parent this book gives great, practical advice on how to deal with failure and the importance conversations to age with your children at different developmental stages. 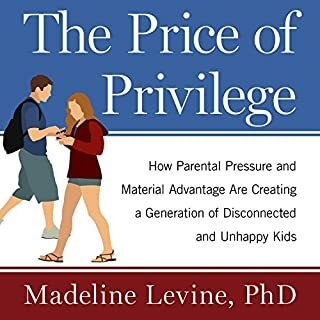 As a mental health therapist at a very academic challenging high school, I want to give this book to EVERY single parent!!!! I will be passing along many topics from this book to students and parents that I work with. Doable, put everything in perspective, works with our family with triplets age 9. So worth reading and listening to it. Thank you Jessica for sharing your wisdom! !